Wish list – everyone should have one! 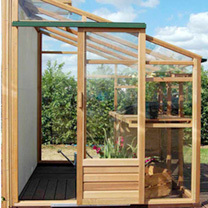 These lovely greenhouses would be fantastic in any garden. THE GROWHOUSE RANGE – Special Introductory Offers closes end of June 2013.Part of the Eden Greenhouses – a long established English greenhouse manufacturer with an enviable reputation for quality and value! 10 year structural guarantee. Just look at the benefits!- Finest Western Cedar and quality aluminium materials.- Warmer in the winter and cooler in the summer making for a better growing environment than the aluminium greenhouses.- High eaves and ridge create a spacious interior, with lots of space for you to work and plants to grow.- Toughened safety glass. Stronger than standard horticultural glass. If broken it will shatter into small fragments.- Gutters and downpipes included – supplied to fit down either side of the greenhouse. This makes it simple for you to collect rainwater by diverting the gutters into water butts.- Easy to assemble – the greenhouse is supplied in made-up panels and comes with simple instructions.Extra Quality Options – Staging, shelving, blinds & installation. (Staging, shelving, blinds and installation should be added at the time of purchase. )Growhouse Greenouse 8 x 10 with Base — Actual dimensions: 2.41m (7’11) width, 2.99m (9’9) length, 2.37m (7’9) height- Number of Vents: 4Please allow up to 21 days for delivery. THE GROWHOUSE RANGE – Special Introductory Offers closes end of June 2013.Part of the Eden Greenhouses – a long established English greenhouse manufacturer with an enviable reputation for quality and value! 10 year structural guarantee. Just look at the benefits!- Finest Western Cedar and quality aluminium materials.- Warmer in the winter and cooler in the summer making for a better growing environment than the aluminium greenhouses.- High eaves and ridge create a spacious interior, with lots of space for you to work and plants to grow.- Toughened safety glass. Stronger than standard horticultural glass. If broken it will shatter into small fragments.- Gutters and downpipes included – supplied to fit down either side of the greenhouse. This makes it simple for you to collect rainwater by diverting the gutters into water butts.- Easy to assemble – the greenhouse is supplied in made-up panels and comes with simple instructions.Extra Quality Options – Staging, shelving, blinds & installation. (Staging, shelving, blinds and installation should be added at the time of purchase. )Growhouse Greenouse 8 x 10 — Actual dimensions: 2.41m (7’11) width, 2.99m (9’9) length, 2.37m (7’9) height- Number of Vents: 4Please allow up to 21 days for delivery. THE GROWHOUSE RANGE – Special Introductory Offers closes end of June 2013.Part of the Eden Greenhouses – a long established English greenhouse manufacturer with an enviable reputation for quality and value! 10 year structural guarantee. Just look at the benefits!- Finest Western Cedar and quality aluminium materials.- Warmer in the winter and cooler in the summer making for a better growing environment than the aluminium greenhouses.- High eaves and ridge create a spacious interior, with lots of space for you to work and plants to grow.- Toughened safety glass. Stronger than standard horticultural glass. If broken it will shatter into small fragments.- Gutters and downpipes included – supplied to fit down either side of the greenhouse. This makes it simple for you to collect rainwater by diverting the gutters into water butts.- Easy to assemble – the greenhouse is supplied in made-up panels and comes with simple instructions.Extra Quality Options – Staging, shelving, blinds & installation. (Staging, shelving, blinds and installation should be added at the time of purchase. )Growhouse Greenouse 6 x 10 with Base — Actual dimensions: 1.84m (6′) width, 2.99m (9’9) length, 2.21m (7’3) height- Number of Vents: 4Please allow up to 21 days for delivery. THE GROWHOUSE RANGE – Special Introductory Offers closes end of June 2013.Part of the Eden Greenhouses – a long established English greenhouse manufacturer with an enviable reputation for quality and value! 10 year structural guarantee. Just look at the benefits!- Finest Western Cedar and quality aluminium materials.- Warmer in the winter and cooler in the summer making for a better growing environment than the aluminium greenhouses.- High eaves and ridge create a spacious interior, with lots of space for you to work and plants to grow.- Toughened safety glass. Stronger than standard horticultural glass. If broken it will shatter into small fragments.- Gutters and downpipes included – supplied to fit down either side of the greenhouse. This makes it simple for you to collect rainwater by diverting the gutters into water butts.- Easy to assemble – the greenhouse is supplied in made-up panels and comes with simple instructions.Extra Quality Options – Staging, shelving & Blinds (Staging, shelving, blinds and installation should be added at the time of purchase. )Growhouse Lean-to 6 x 10 — Actual dimensions: 1.93m (6’4) width, 2.99m (9’9) length, 2.27m (7’5) height- Number of Vents: 3Installation is not available for the Lean-to Growhouse.Please allow up to 21 days for delivery. 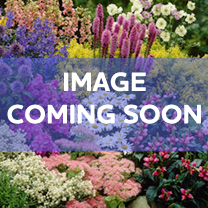 THE GROWHOUSE RANGE – Special Introductory Offers closes end of June 2013.Part of the Eden Greenhouses – a long established English greenhouse manufacturer with an enviable reputation for quality and value! 10 year structural guarantee. Just look at the benefits!- Finest Western Cedar and quality aluminium materials.- Warmer in the winter and cooler in the summer making for a better growing environment than the aluminium greenhouses.- High eaves and ridge create a spacious interior, with lots of space for you to work and plants to grow.- Toughened safety glass. Stronger than standard horticultural glass. If broken it will shatter into small fragments.- Gutters and downpipes included – supplied to fit down either side of the greenhouse. This makes it simple for you to collect rainwater by diverting the gutters into water butts.- Easy to assemble – the greenhouse is supplied in made-up panels and comes with simple instructions.Extra Quality Options – Staging, shelving, blinds & installation. (Staging, shelving, blinds and installation should be added at the time of purchase. )Growhouse Greenouse 6 x 10 — Actual dimensions: 1.84m (6′) width, 2.99m (9’9) length, 2.21m (7’3) height- Number of Vents: 4Please allow up to 21 days for delivery. THE GROWHOUSE RANGE – Part of the Eden Greenhouses – a long established English greenhouse manufacturer with an enviable reputation for quality and value! 10 year structural guarantee. Just look at the benefits! Finest Western Cedar and quality aluminium materials. Warmer in the winter and cooler in the summer making for a better growing environment than the aluminium greenhouses. High eaves and ridge create a spacious interior, with lots of space for you to work and plants to grow. Toughened safety glass. Stronger than standard horticultural glass. If broken it will shatter into small fragments. 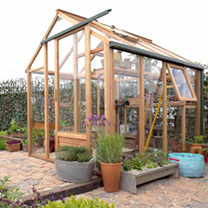 Gutters and downpipes included – supplied to fit down either side of the greenhouse. This makes it simple for you to collect rainwater by diverting the gutters into water butts. Easy to assemble – the greenhouse is supplied in made-up panels and comes with simple instructions.Extra Quality Options – Staging, shelving, blinds & installation. (Staging, shelving, blinds and installation should be added at the time of purchase. )Growhouse Greenouse 6 x 8 & BASE – Actual dimensions: 1.84m (6′) width, 2.41m (7’11) length, 2.21m (7’3) height Number of Vents: 4Please allow up to 21 days for delivery. THE GROWHOUSE RANGE – Special Introductory Offers closes end of June 2013.Part of the Eden Greenhouses – a long established English greenhouse manufacturer with an enviable reputation for quality and value! 10 year structural guarantee. Just look at the benefits!- Finest Western Cedar and quality aluminium materials.- Warmer in the winter and cooler in the summer making for a better growing environment than the aluminium greenhouses.- High eaves and ridge create a spacious interior, with lots of space for you to work and plants to grow.- Toughened safety glass. Stronger than standard horticultural glass. If broken it will shatter into small fragments.- Gutters and downpipes included – supplied to fit down either side of the greenhouse. This makes it simple for you to collect rainwater by diverting the gutters into water butts.- Easy to assemble – the greenhouse is supplied in made-up panels and comes with simple instructions.Extra Quality Options – Staging, shelving & Blinds (Staging, shelving, blinds and installation should be added at the time of purchase. )Growhouse Lean-to 6 x 8 & BASE — Actual dimensions: 1.93m (6’4) width, 2.4m (7’11) length, 2.27m (7’5) height- Number of Vents: 2Installation is not available for the Lean-to Growhouse.Please allow up to 21 days for delivery. THE GROWHOUSE RANGE – Special Introductory Offers closes end of June 2013.Part of the Eden Greenhouses – a long established English greenhouse manufacturer with an enviable reputation for quality and value! 10 year structural guarantee. Just look at the benefits!- Finest Western Cedar and quality aluminium materials.- Warmer in the winter and cooler in the summer making for a better growing environment than the aluminium greenhouses.- High eaves and ridge create a spacious interior, with lots of space for you to work and plants to grow.- Toughened safety glass. Stronger than standard horticultural glass. If broken it will shatter into small fragments.- Gutters and downpipes included – supplied to fit down either side of the greenhouse. This makes it simple for you to collect rainwater by diverting the gutters into water butts.- Easy to assemble – the greenhouse is supplied in made-up panels and comes with simple instructions.Extra Quality Options – Staging, shelving & Blinds (Staging, shelving, blinds and installation should be added at the time of purchase. )Growhouse Lean-to 6 x 8 — Actual dimensions: 1.93m (6’4) width, 2.4m (7’11) length, 2.27m (7’5) height- Number of Vents: 2Installation is not available for the Lean-to Growhouse.Please allow up to 21 days for delivery. THE GROWHOUSE RANGE – Part of the Eden Greenhouses – a long established English greenhouse manufacturer with an enviable reputation for quality and value! 10 year structural guarantee! FREE staging & shelving!Just look at the benefits!Finest Western Cedar and quality aluminium materials.Warmer in the winter and cooler in the summer making for better growing environment than the aluminium greenhouses.High eaves and ridge create a spacious interior, with lots of space for you to work and plants to grow.Toughened saftely glass. Stronger than standard horticultural glass. If broken it will shatter into small fragments.Gutters and downpipes included.Increased ventilation with 2 roof and 2 side vents.Easy to assemble.Blinds and installation available at additional cost.Growhouse Greenouse 6 x 8 – Actual dimensions: 1.84m (6′) width, 2.41m (7’11) length, 2.21m (7’3) heightClick here to view accessories Please allow up to 21 days for delivery. THE GROWHOUSE RANGE – Special Introductory Offers closes end of June 2013.Part of the Eden Greenhouses – a long established English greenhouse manufacturer with an enviable reputation for quality and value! 10 year structural guarantee. Just look at the benefits!- Finest Western Cedar and quality aluminium materials.- Warmer in the winter and cooler in the summer making for a better growing environment than the aluminium greenhouses.- High eaves and ridge create a spacious interior, with lots of space for you to work and plants to grow.- Toughened safety glass. Stronger than standard horticultural glass. If broken it will shatter into small fragments.- Gutters and downpipes included – supplied to fit down either side of the greenhouse. This makes it simple for you to collect rainwater by diverting the gutters into water butts.- Easy to assemble – the greenhouse is supplied in made-up panels and comes with simple instructions.Extra Quality Options – Staging, shelving, blinds & installation. (Staging, shelving, blinds and installation should be added at the time of purchase. )Growhouse Greenouse 6 x 6 & BASE — Actual dimensions: 1.84m (6′) width, 1.84m (6′) length, 2.21m (7’3) height- Number of Vents: 3Please allow up to 21 days for delivery. THE GROWHOUSE RANGE – Part of the Eden Greenhouses – a long established English greenhouse manufacturer with an enviable reputation for quality and value! 10 year structural guarantee. Just look at the benefits! Finest Western Cedar and quality aluminium materials. Warmer in the winter and cooler in the summer making for a better growing environment than the aluminium greenhouses. High eaves and ridge create a spacious interior, with lots of space for you to work and plants to grow. Toughened safety glass. Stronger than standard horticultural glass. If broken it will shatter into small fragments. Gutters and downpipes included – supplied to fit down either side of the greenhouse. This makes it simple for you to collect rainwater by diverting the gutters into water butts. 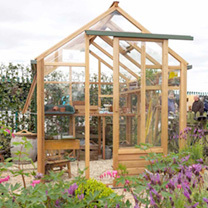 Easy to assemble – the greenhouse is supplied in made-up panels and comes with simple instructions.Extra Quality Options – Staging, shelving, blinds & installation. (Staging, shelving, blinds and installation should be added at the time of purchase. )Growhouse Greenouse 6 x 6 – Actual dimensions: 1.84m (6′) width, 1.84m (6′) length, 2.21m (7’3) height Number of Vents: 3Please allow up to 21 days for delivery.